You have probably noticed a significant increase in short videos that pop up all over the social media. Video marketing has been on the rise and accounts for well over 50% of all online traffic. Studies show that a person is much more likely to choose to watch a short video over reading an article with the same content. Simple things like using the word "video" in an email subject line increase open rate by 20% and click-through rate by 60%. 1. A significant boost to SEO. Yes, even the YouTube or rather especially YouTube videos carry a lot of your business information, such as links to your website and keywords. 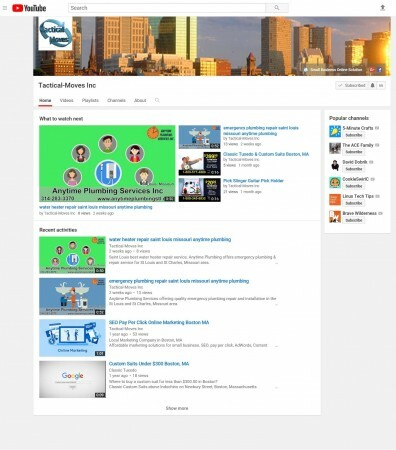 The benefits of traffic coming through YouTube to your search ranking can be substantial. 2. Increased conversion rates. Customers are 80% more likely to click through a video to a products page and 60% more likely to turn that click into a purchase. 3. Increased social media sharing. Videos are some of the most shared content on social media sites and they know it. Facebook and Twitter rapidly making changes to their sites and apps to promote video sharing. 4. Attracts mobile customers. Customers are much more likely to watch a video because it is a lot easier than reading an article on a small screen. The benefits of video marketing are undeniable. The sooner you add it to your marketing arsenal, the sooner you'll see the results.